Nayyara Noor Pakistani Ghazals Artist. 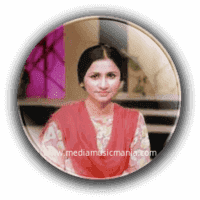 She is most popular Pakistani Classical Music Singer. She has sung Super Hit Ghazals, Pakistan Folk Music and she create great name in Pakistan Music. Nayyar Noor started singing in his childhood such as Bhajans, Ghazals. Nayyara Noor did not get Musical training, she was in College in 1968 and then her friends advice her to sing in Radio Pakistan. After that in 1971 Nayyar Noor started singing in Pakistani Television serials and then beginning with Films like "Gharana" and "Tansen". Nayyar Noor sung most popular Ghazals of Ghalib and Faiz Ahmed Faiz and has performed with legends like Mehdi Hassan and Ahmed Rushdi. Nayyara Noor is great legendary Artist of Pakistan, her singing style in Urdu Classical Ghazals Music was given her as legendary Artist of Pakistan. She has since performed at countless Mehfils and Mushairas among Ghazal lovers in Pakistan and India. I have selected below most popular Ghazals Music of Nayyara Noor. Nayyara Noor was born on 1950 in Assam, she sung Ghazals and Classical songs and also she is great Artist of Punjab Folk Music. Her family was a merchant class hailing from Amritsar who had settled in Guwahati in Assam State in the North-Eastern India. Her father was an active member of the Muslim League.In 1958 the family of Nayyar Noor returned back to Pakistan. Nayyar Noor, is great artist of Pakistan and she has sung in Lollywood Movies and also she sung Pakistani Lok Music and she has won three gold medals in the All Pakistan Music Conference and a Nigar Award for best female singer.